Small, stocky, cryptic owl. Common in most wooded areas in the Eastern US, especially near water. 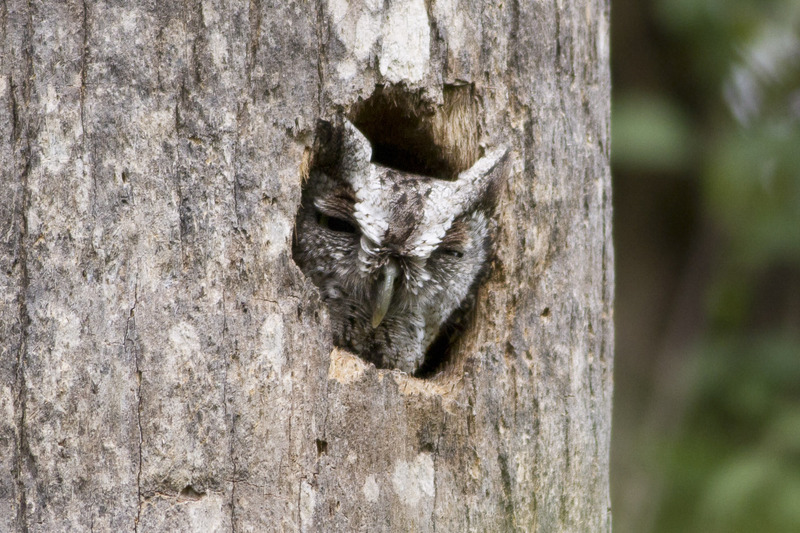 Gray or reddish with small ear tufts, yellow eyes, and tree-bark pattern camouflage. Often detected by trill or whinny call, or by other birds mobbing it and making a commotion. Often hunts at dawn or dusk for birds, small mammals and invertebrates by waiting on a perch and then swooping down. Nest in existing holes or nest boxes; often pairs are life-long and monogamous. Lifespan up to 14 years. Population ~ 1 million and stable.